Bill & Fran Jenkins - Who Are We? Bill and Fran are an imaginative, passionate, confident real estate consultants working with the extremely experienced professionals at Nevada Realty Connection. For 22 amazing years we have consistently and systematically served the booming communities of Las Vegas and Henderson. My awesome partner and wife along with our detailed and experienced office manger, marketing director, and isa work out of our gorgeous office at The District in beautiful Green Valley. We Consult.. We ask insightful and thought provoking questions and only when we have confirmed that we have heard you will we systematically and deliberately use our HomeFinder system to match your dreams and desires, wants and needs. We tailor our systems perfectly for financial capability in both competitive seller's markets and opportunistic buyer's markets. We Negotiate.. Because we treat your money like it is ours, when it is time to save you or make you money, we are like a "pit bull". What you will quickly notice as we are negotiating for you is that we will skillfully articulate the strengths and weaknesses of the suggestions other agents and lenders propose. We Oversee the Transactional Details.. In the days and weeks and even months ahead you will come to appreciate our role as the person who oversees all the transactional details because every transaction has 100 to 150 phone calls alone, and each one of them is loaded with critical details. As you can imagine every "i" must be dotted and every "t" must be crossed, because there are 100 pieces of paper requiring upward to 43 signatures and initials, and making a mistake can be very costly to you. It is good you now know If we choose to work with you and you choose to work with us, what we consider are our three most important roles representing you, is it not? About Our Family - Bill and Fran have three sons. "We are very involved in the school district with our own children and know how important that is to our clients that have children." "We are active in F.E.A.T (Families for Early Autism Treatment) and have been since our 25 year old was diagnosed with autism at an early age." What We Like doing - Outside of helping their clients achieve their goals...Bill and Fran enjoy taking trips to Disneyland, Newport Beach, Seaworld, and Mission Bay San Diego with their boys. Fran likes searching for real estate investments and Bill likes playing golf, sailing, and surfing. We specialize in the Green Valley/Henderson area of the Las Vegas Valley. 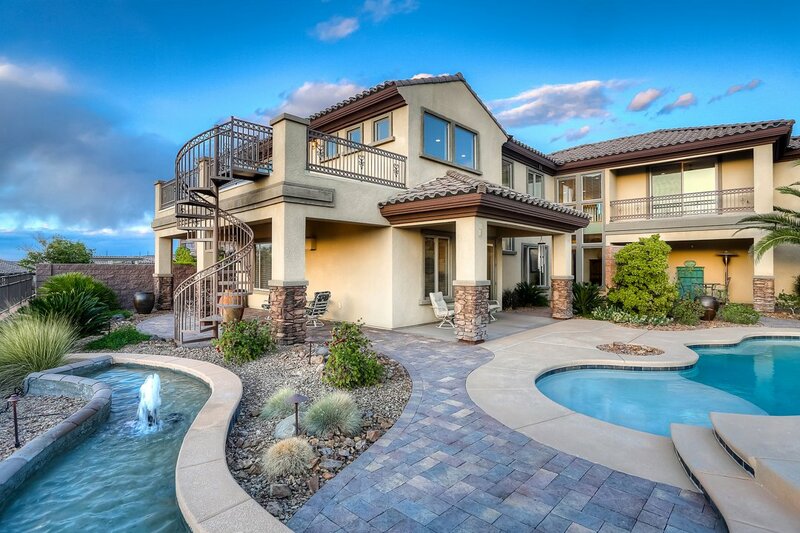 We have sold homes and helped buyers throughout the Las Vegas Valley. We have focused on relocation buyers from out of state and from our existing client base from referrals. CDAT (Certified Default Advocate Trained) Helping families navigate loan modifications and short sales. Certified NFSTI REO Certified for bank owned properties.